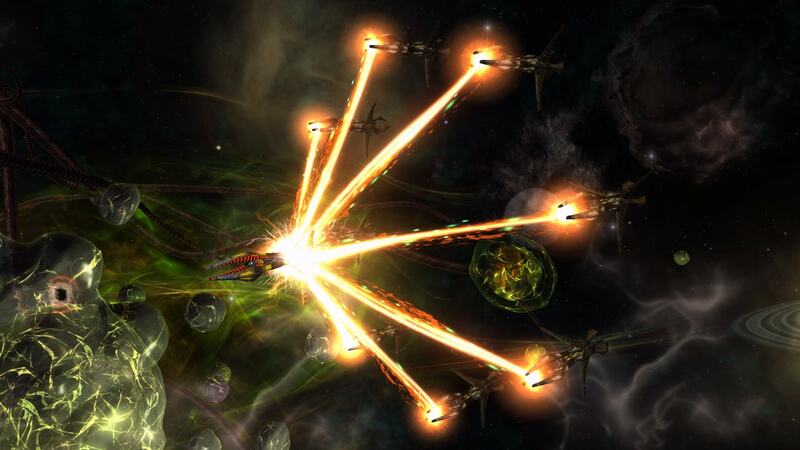 When first encountered in the Delta Quadrant, the Undine (known then by their Borg designation Species 8472) were already embroiled in a war with the Collective, which was sparked by a Borg invasion of the alternate dimension known as Fluidic Space. The Undine's strange, organic "bioships" were capable of destroying entire planets, giving them power which outmatched even the Borg. Faced with destruction, the crew of the U.S.S. 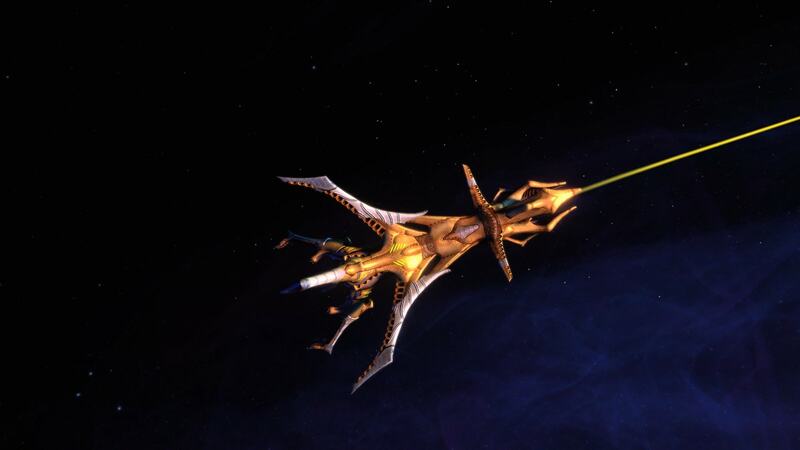 Voyager was forced to make a temporary alliance with the Collective just to survive. Voyager's crew encountered the Undine again in their travels across the Delta Quadrant, and found them to be a relentless foe. The Undine's dedication to the eradication of "the weak" led them to wage a violent crusade, and they even developed a form of genetic shape-shifting through the use of isomorphic injections that allowed them to infiltrate the society of other species outside Fluidic Space. Kathryn Janeway attempted to reach a peaceful agreement with the Undine, but only a small faction of the species agreed to her proposal. The majority of the Undine fought back against other incursions of Fluidic Space, eventually seeing all outsiders as a threat to their home and security. Their shape-shifting agents infiltrated all of the powers of the Alpha and Beta Quadrants, pushing conflicts intended to keep the powers focused on battling one another and leaving the Undine free to pursue their xenophobic agenda. 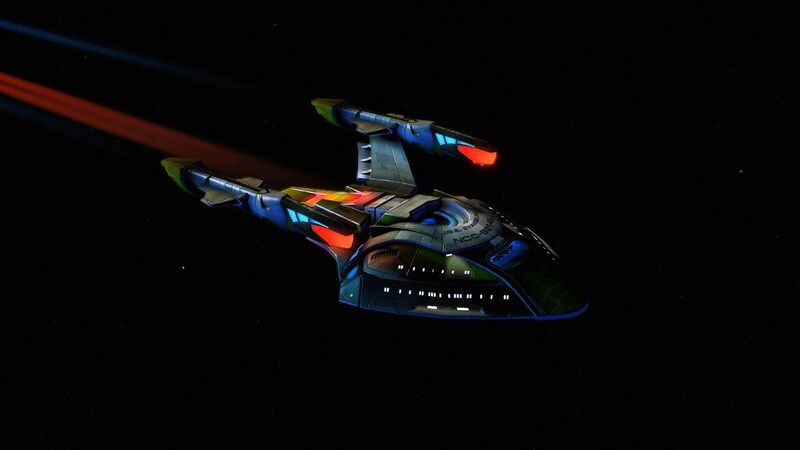 Through the actions of brave captains from the Klingon Empire, the Federation and the Romulan Republic, the Undine have been exposed and a new, united effort is working to drive them back to Fluidic Space once and for all. 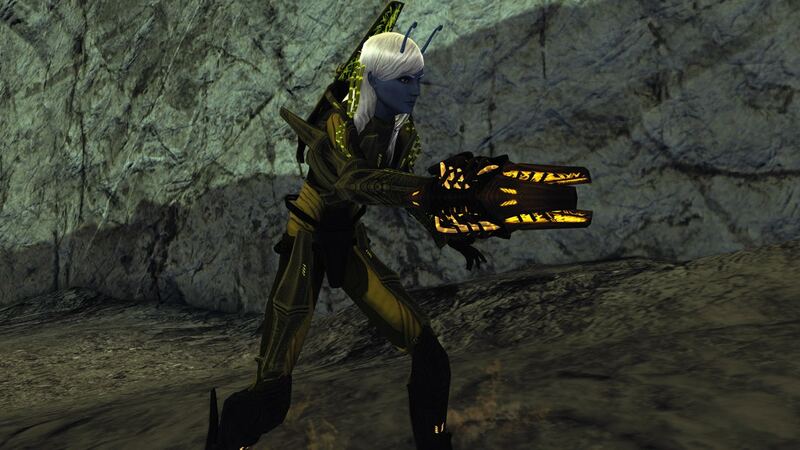 We have been itching to re-visit the Undine Threat for a long time in Star Trek Online. 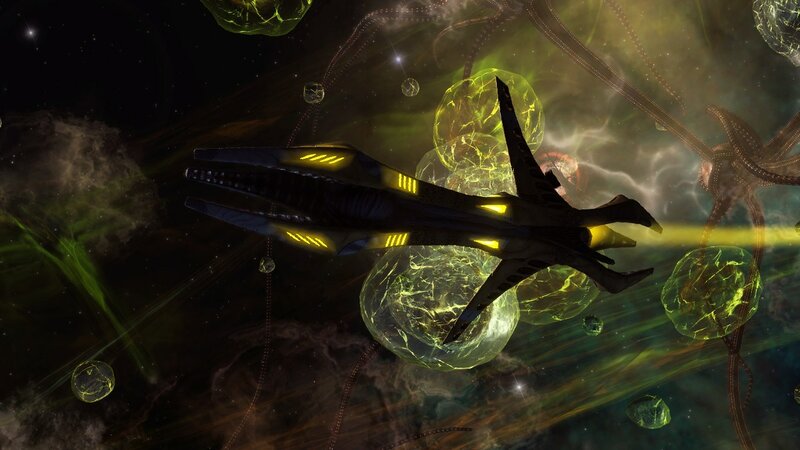 The overt xenophobic nature of Species 8472, coupled with their truly alien psychology and physiology, has always shown great potential for bringing new and unique storylines, mechanics and artwork into the game. We’re thrilled that Season 9: A New Accord is granting us the opportunity to explore the legacy of Species 8472 in detail. 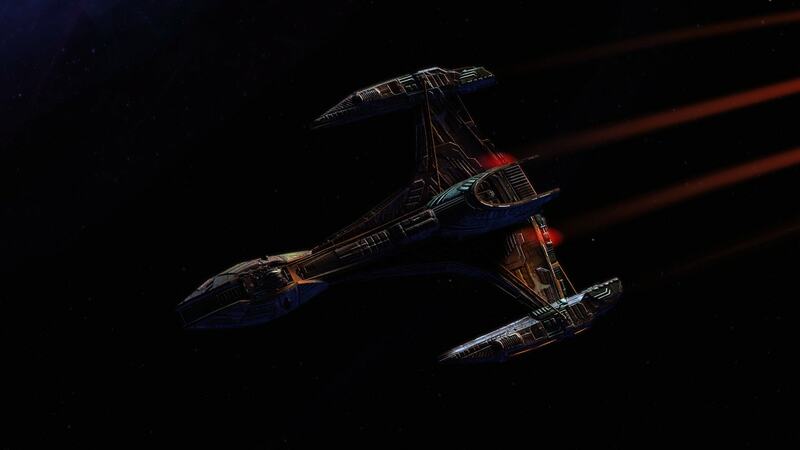 The Undine Lock Box will offer players the opportunity to pilot their very own Nicor Bio-Warship. 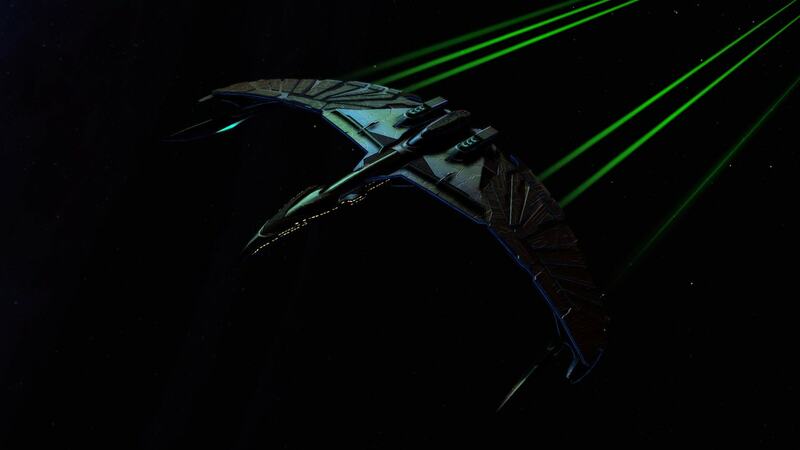 The same ship seen flown by a single psychically-gifted Undine requires a small crew of Alpha Quadrant species in order to operate at full efficiency. Once properly refitted to be compatible with technology from outside Fluidic Space, the Bio-Warship is ready to be flown into combat against aggressive Undine invaders, or any other threat to our dimension. Nicor Bio-Warships are equipped with a Console - Universal - Fluidic Energy Focusing Array. This series of high-capacity energy conduits is specifically designed to intake energy from other Undine bioships, amplify it, and then release it at a target ship or planetoid. The resulting blast can be made strong enough to destroy entire planets under the right circumstances, but is more frequently used as artillery strikes against space-bound enemies. Scientists from the Alpha Quadrant have learned how to tune the focusing array to emit a communication pulse that pierces the barrier to Fluidic Space. Bioships that “hear” this pulse will quickly join your ship in battle and channel their energy into the focusing array before it is released in a massive blast. The summoned ships will immediately return to Fluidic Space afterwards. 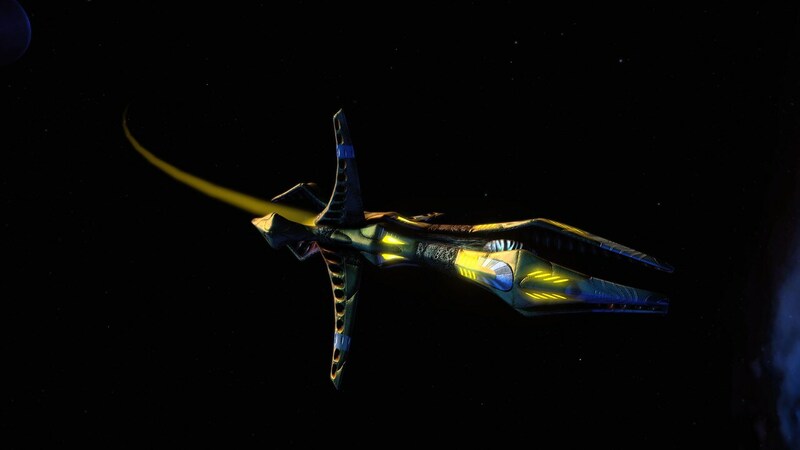 Players wanting a larger, sturdier bioship to fly may instead obtain a Dromias Bio-Cruiser from the Lobi Crystal Store. Though less maneuverable than the Nicor, this massive vessel makes up for it with increased survivability and versatility. Dromias Bio-Cruisers are equipped with a Console - Universal - Fluidic Conduit Projector. By deploying a specialized quantum singularity, the dimensional walls that separate our space from Fluidic Space can be weakened to allow a 'leak' that brings fluidic matter into our space. Modulating this singularity along a specific frequency allows these bubbles of Fluidic Space to have a negative impact on enemy vessels, damaging and crippling their effectiveness in combat – even Undine ships native to Fluidic Space! Equipping both the Fluidic Conduit Projector and the Fluidic Energy Focusing Array consoles will grant an Undine vessel the ability to negate the Weapon Power drain associated with firing the Focused Fluidic Beam. 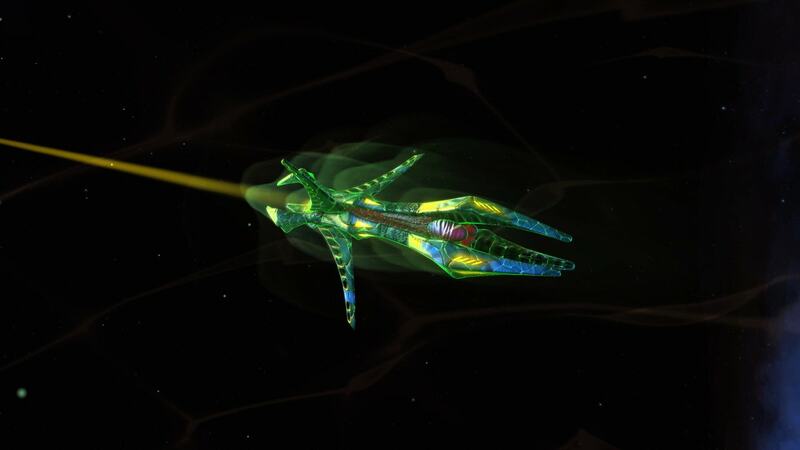 Along with this specialized arsenal of abilities, the organic nature of Undine bioships allows their hull to passively regenerate at a higher rate than most starships can be repaired. This increased regenerative capacity offers even more durability to these already formidable vessels. By reverse-engineering the Undine biotechnology used in their ships and weaponry, the forces battling this threat have gained a much greater understanding of their ability to shift between Fluidic Space, and known space. This knowledge has resulted in being able to use another piece of salvaged Undine biotechnology – the Fluidic Phase Decoupler – on any existing ship. This unique Console allows the ship to briefly decouple itself from our phase of reality, becoming perfectly invisible for a brief duration at the cost of their ship becoming slightly more difficult to control due to increased turn rate, and a major decrease of inertia rating. 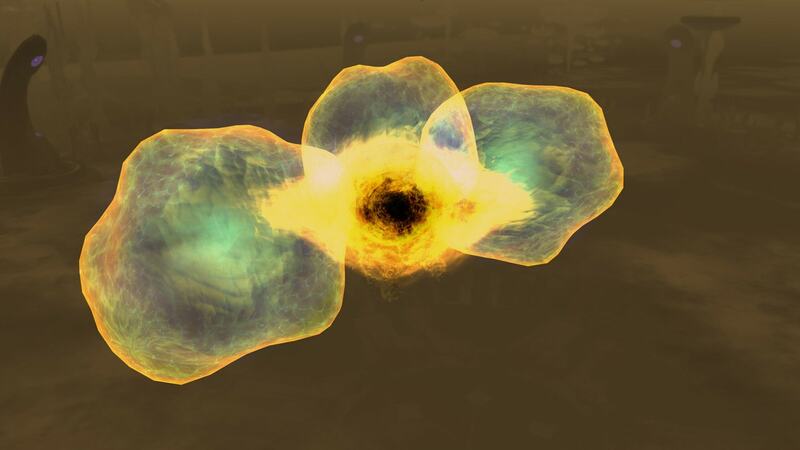 Upon re-emerging into our phase of existence, the ship releases a large bioplasmic shockwave that will damage enemies close enough to be caught in the blast. The shockwave also leaves a lingering debuff that will slow enemies hit by it. As a brand new feature of Season 9, we are releasing the option for all players to customize their Kits for Ground Combat. In order to encourage players to explore the myriad options these new slotting arrangements represent, an entirely new line of Fluidic Kit Modules will appear in the Undine Lock Box! Nine (9) new Kit Modules can be obtained, each providing the player with a unique new Kit Ability for use in ground combat. The Module you receive when opening a reward pack will be appropriate to your profession and level. Many of these new Modules have a chance to apply an Active Immunity Infestation. This offensive debuff works similarly to the hyperactive immune systems of Species 8472, attacking the living cells of any foreign matter they come in contact with. This translates to a slowing debuff, coupled with Toxic damage over time. This infestation always has a chance to spread to additional targets, regardless of how it is applied. In addition to functioning similarly to a Photon Grenade, this grenade applies Active Immunity Infestation to any targets within the blast radius. By covering your melee weapons in a specialized biotech coating, you are able to restore a small portion of your own health with every successful melee strike over the next several seconds. You increase the effectiveness of yourself and all nearby allies by emanating a strong command presence. All affected allies have their run speed increased, all debuffs cleansed, and receive additional resistance against any form of Control. In addition to functioning like a Chroniton Mine Barrier, these explosives will apply Active Immunity Infestation to any affected targets. This rapid-fire beam turret will continuously fire upon the nearest enemy target, dealing a small amount of damage and repelling them further away with each shot. For a brief period, you are able to damage any enemy that fires upon you, by returning a portion of their incoming Energy damage as Psionic damage that penetrates shields. Tap into the positive effects of the Active Immunity Infestation, granting yourself and any nearby allies a boost to their damage resistance and periodically healing them. Enemies caught in the vicinity have a high chance of becoming Infested. The target ally of this ability (or self) will receive large periodic hitpoint regeneration and immunity to Borg Assimilation, along with resistance to Toxic damage. Enemies struck by this ability will have their outgoing damage reduced. For the next several seconds, they also have a chance of being briefly unable to act due to falling into a psychically-induced trance. To compliment this new selection of Kit Modules, and again reinforcing the newly-revamped Kit system as a whole, a large selection of randomly-generated Fluidic Kits can also be obtained in the Undine Lock Box. Each of these specialized kits contains an enhancement that will attach to either Damage or Debuff/Control or Buff/Heal types of Kit Modules, dealing extra Psionic Damage to foes in different ways. Fluidic Kits also contain one Module slot that may be used for either specialization of modules, within your profession. All Fluidic Kits are of purple quality. Players that receive a Fluidic Kit will always receive one that is appropriate for their profession, and their level. An all-new series of Fluidic Traits can also be obtained through the use of a new set of six (6) Genetic Resquencers. Each of these trait packs can only be opened once per character. Thanks to the new Trait interface changes coming with Season 9, these Traits may be freely added and removed from your active Trait loadout without the use of a Trait Respec Token. (Toggle) By overloading your immune system, you become extremely resistant to all sources of incoming damage and immune to all damage-over-time effects. However, while active, you are also unable to regenerate hitpoints and are immune to healing. (Toggle) You enter a psychic trance that extends your perception, rendering you immune to Expose and Flanking effects. However, you become more susceptible to Control effects while in this state. (Toggle) You are able to enter a berserker rage at will, drastically increasing your ability to deal damage. However, you also take more damage from all sources while in this state. (Passive) Improves the effectiveness of all of your abilities which restore Hull. (Passive) When hit by Kinetic damage, you have a chance to increase your outgoing Energy Damage for several seconds. This effect can stack up to 3 times. The weaponry utilized by the Undine Bioships will also become available to players, as part of a Fluidic Antiproton Weapon Crate. These crates contain special Undine weaponry which has a chance to Repel the enemy while also dealing a small amount of Physical Damage which ignores shields. All weapons contained within these crates are of purple quality, and contain the special procs of Fluidic Antiproton weapons, in addition to other random modifiers. Fluidic Antiproton ground weapons have an entirely new appearance, belying their biotechnological origins. These unique weapons also all boast original secondary firing modes, not previously available. Energy Stream rifles fires a cylindrical blast with a very long maintained time, cutting through any and all enemies between you and your target. Multibeam rifles enter a self-targeting frenzy, firing a rapid succession of beams at all enemies standing in your forward arc. Dense Beam assault weapons can actually form ionized bonds between the target and its nearby allies, allowing the beam to chain between multiple targets. Alongside all of these exciting new prizes, other tried-and-true prize options will also be making a return appearance in the Undine Lock Box. This includes Bonus Pool consumables (including the recently-introduced Reputation Mark Bonus Pools!) and Duty Officer packs. The Reinforcements Duty Officer Cadre will appear for the first time a Lock Box as a full-size duty officer pack – the exact same as previously retired from the C-Store. 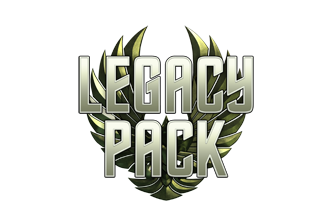 A Reinforcements Duty Officer Mini-Pack can also be received as a reward for opening an Undine Lock Box. Every Lock Box includes a guaranteed minimum of four (4) Lobi Crystals, with a chance to jackpot up to 50 Lobi Crystals, in addition to any of the prizes listed above (except the Dromias Bio-Cruiser, which must be purchased using Lobi). These small orange crystals may be exchanged with the Lobi Crystal Consortium to attain exciting new Biotechnology, adapted from the equipment used by Undine ground troops. Undine Biotech Battle Armor is partially built, partially grown. It is based off of the biotechnology frequently used by the Undine to augment their physical performance. Although the Undine prefer not to sheath their entire bodies in this substance, daring bioengineers have found that doing so can offer substantial combat effectiveness improvements for humanoids. It primarily enhances physical and kinetic protection, while also protecting against energy attacks and most known toxins. Wearing the suit also provides a substantial boost to hitpoint regeneration, and a chance to periodically negate damage entirely. 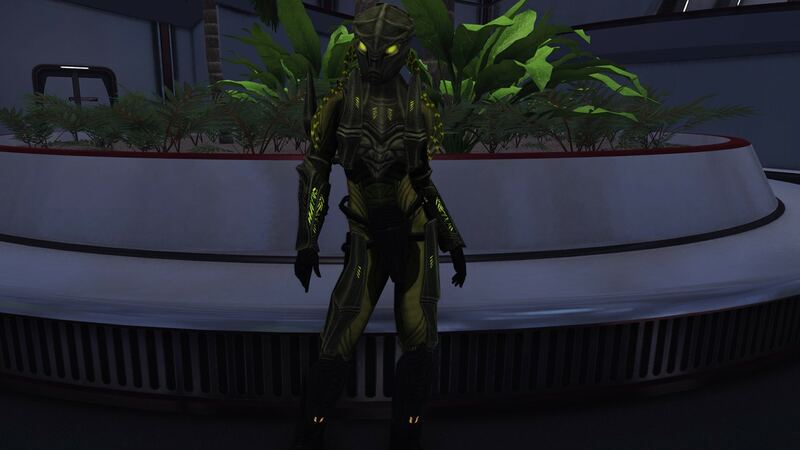 Purchasing the Biotech Battle Armor will unlock an associated Tailor Costume that can be used to customize the look of your captain and crew. 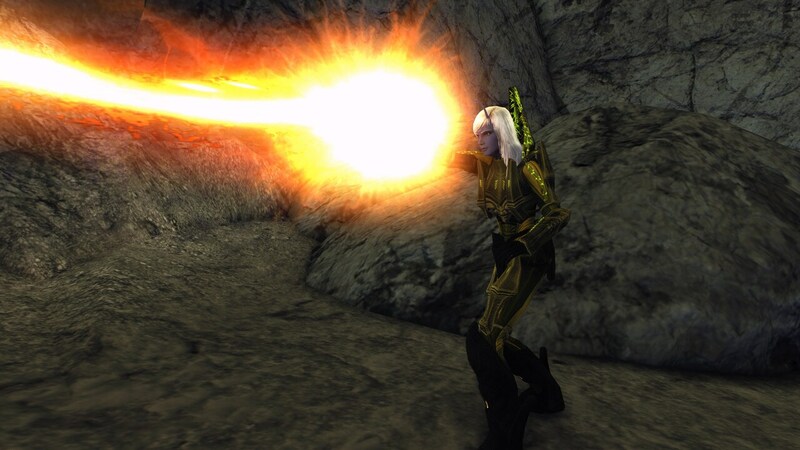 The Fluidic Antiproton Wrist Lance is an extremely powerful weapon, despite its small stature. Sometimes nicknamed the “Mini-Planet-Killer,” this handheld device utilizes cohesive antiproton streams to damage foes. These streams are known to sometimes knock their opponents away while dealing additional physical damage. The primary fire of this particular wrist-mounted antiproton lance is similar to those adapted into assault weapons that use this same energy technology. The secondary fire can charge up a massive blast that will scar the surface of whatever the foe is standing on, sending out antiproton energy ripples that cause additional damage to anything they cross paths with. Exploring the alien biotechnology of a species not native to our dimension of space has led to a great deal of creativity in both the mechanics and artwork associated with all of the aforementioned prizes. We hope that players will enjoy experiencing the alien nature of the Undine as much as we have enjoyed peering into the inner workings of their enigmatic nature. The Undine Lock Box, as well as these thematic additions to the Lobi Crystal Store, will become available starting April 22nd, 2014, at approximately 10:00am PDT.